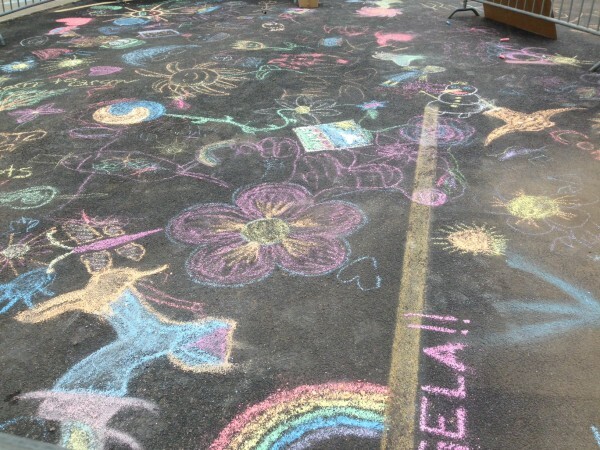 On a recent trip to Buffalo, a place mostly associated with shopping than art, I stumbled upon a street festival dedicated to chalk. A local woman pointed me in the direction and told me that it was an opportunity for inner city kids to show off their artistic skills. 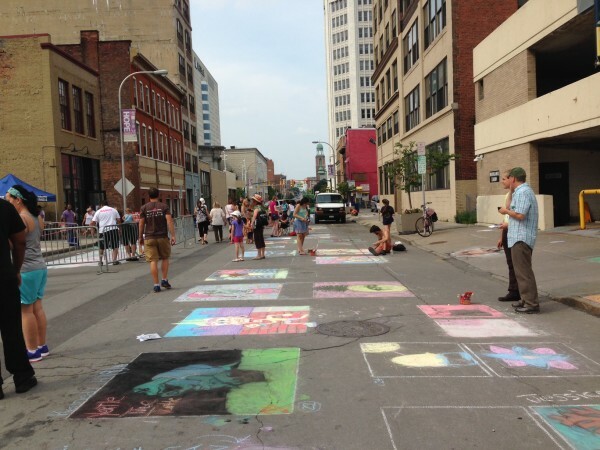 Upon further research, I learned that it was the third year the 500 Block Association of Main Street has initiated in downtown Buffalo entitled ChalkFest. 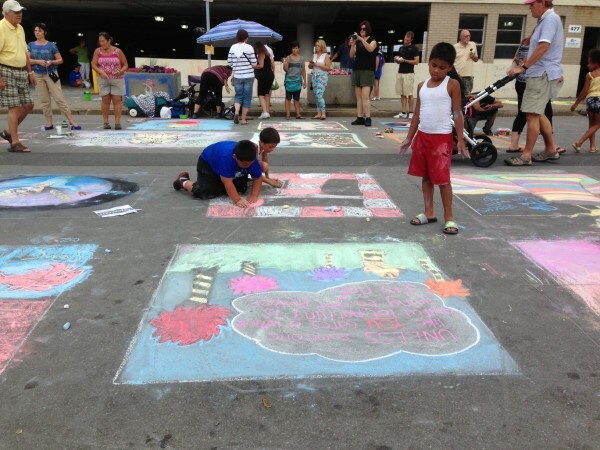 As a way to encourage the revitalization of the city’s Main Streets, the festival brings the community together, outside, enjoying and decorating the core. This year’s benefactor of the 500 Block Association is Theatre of Youth Company Inc. (TOY), a non-profit professional theatre company dedicated to the enhancement of life in the community through the enrichment, education and entertainment of young audiences. Their mission is to engage and challenge young audiences with theatre that is artistically exciting, in a form and style that is socially relevant. 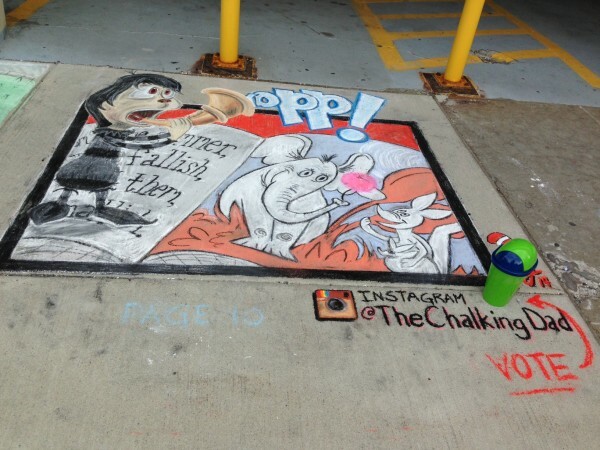 Artists of all ages were encouraged to reserve a 5′x5′ square for their chalk drawing. 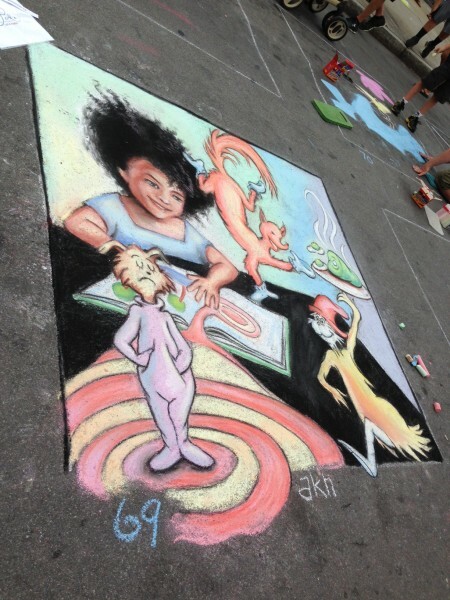 As a way to instill and nurture an appreciation of live theatre, TOY used its 2014 opening season of Seussical to drive the content for the street artists. At the end of the 2-day event all drawings would be judged with winners awarded top prize. I mostly enjoyed discovering the many possibilities that the artists came up with regarding Dr. Seuss. 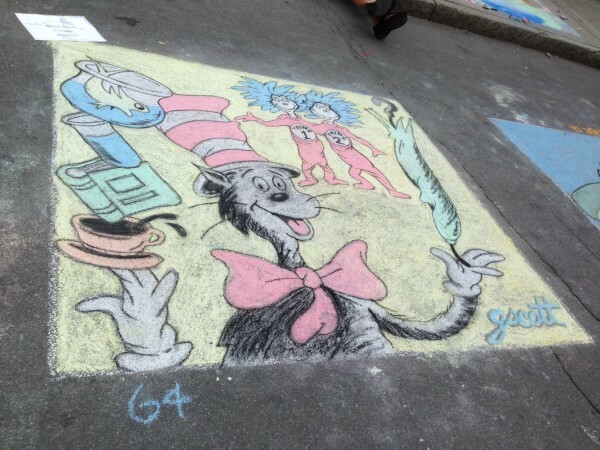 Images of ‘The cat in the Hat’ and ‘Horton Hears a Who’ flooded the streets with colourful rhymes and curious minds. Some drawings even seems to jump out of the concrete and walk among the street. It was a pleasant surprise for a Saturday stroll in Buffalo.